It’s now over a month since the Xiaomi Redmi 5 and 5 Plus started selling in China. The pair was unveiled in early December 2017 and started selling on the 12th of the same month, but up to now, it has yet to leave the Chinese market. Of course, it was only a matter of time before phones as impressive as the Xiaomi Redmi 5 and 5 Plus started treading the global market. Even though Xiaomi hasn’t given out the exact date, an insider has one and apparently, the two will go global during the second half of February 2018. 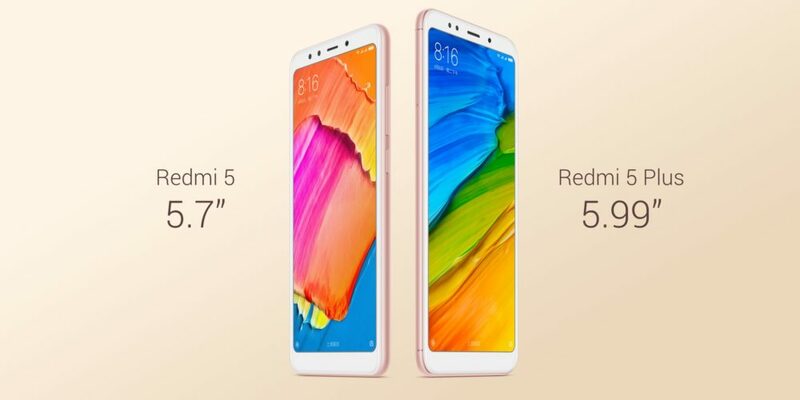 Given the news about the possible launch of the Moto G6, Moto G6 Plus and Moto G6 Play during the MWC 2018, it makes sense that Xiaomi has similar plans for the Redmi 5 and 5 Plus. These two families are targeting the same markets and Xiaomi wouldn’t want Lenovo to get a head start. Xiaomi is not a regular at the annual MWC tech show, but it attended the 2016 event to unveil the Mi 5. If anything, we won’t be surprised to see it at this year’s event, possibly to unveil the Redmi 5 and 5 Plus to the globe. Since these will be global variants, there’s one major tweak being lined up. The Chinese variants of the pair only support LTE bands 1, 3, 5, 7, 8, 34, 38, 39, 40 and 41. Missing from the list is LTE band 20, which you’ll find mostly in Europe. Apparently, the global variants of the Xiaomi Redmi 5 and 5 Plus will get support for LTE band 20. In short, the two are coming to Europe as well, but details of availability and pricing remain unknown. Nonetheless, we don’t expect any drastic changes to what the phones are already going for in China. The base model of the Xiaomi Redmi 5 goes for about $120 while the high-end variant can be yours for about $135. On the other hand, the Redmi 5 Plus starts at $150 and an extra $30 will get you the 4GB RAM and 64GB storage variant.